We are pleased to announce Nebula AI is working with RTrade Technologies Ltd to provide insight on decentralized data storage solution using IPFS protocol. 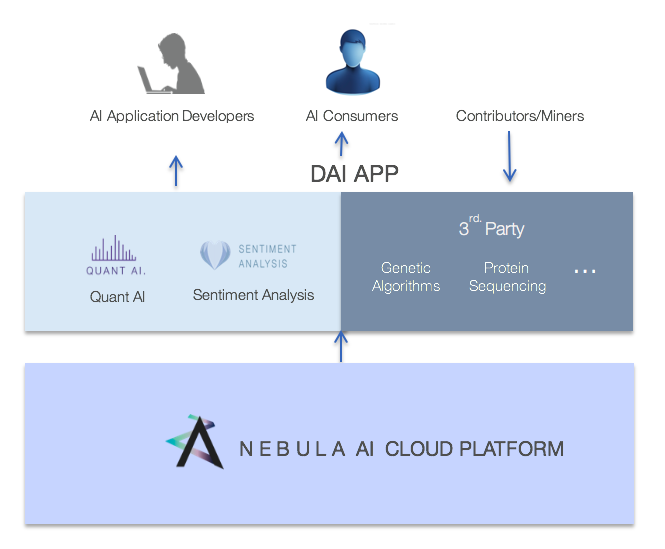 Nebula AI is an artificial intelligence (AI) cloud computing platform that enables developers to safely and reliably perform AI training with high efficiency, low cost and without worrying about the underlying system configuration. We connect AI computing power around the world, forming a decentralized network, effectively eliminating the need for AI users to invest in their own expensive hardware. For Nebula AI’s development goal of 2019, one important component called NBFS (Nebula AI file system) offers our customers the benefits of using a cost-effective storage solution based on IPFS and blockchain technologies. This component guarantees the data available over a long-term, as well as reduce the streaming cost without the side-effects of decreased performance. RTrade Technologies Ltd creates solutions for emerging protocols and technologies such as blockchain, web3 and distributed storage. Its latest product Temporal is a first-of-its-kind open-source API for distributed data storage solutions that can be easily integrated into any existing application stack, quickly and safely scaling projects with turnkey IPFS tools without sacrificing security. With flexibility in mind, the plug-and-play design of the API is swappable with other storage protocols for developers and partners to update at will. Temporal will fundamentally change how users and enterprises manage data as they migrate to a decentralized Web 3.0 architect. The platform can be used as is, or purpose built to manage and deploy blockchain-based applications and non-blockchain data-storage solutions for any enterprise. Join RTrades’ online community Twitter, Telegram and website for more information. Join Nebula AI’ online community Twitter, Telegram and our website for more product information. What is the Difference Between Centralized, Distributed and Decentralized AI Computing? Is Blockchain Compliant with GDPR?